Cloud computing is one of today's hottest IT trends because it's all about saving money and simplifying the lives of users. In cloud computing, large pools of computer systems share an IT infrastructure, enabling products, services, and solutions to be accessed and consumed in real-time over the Internet, typically via a subscription model. Cloud computing made it onto Gartner's Hype Cycle Special Report for 2009. The research firm has pointed out that companies are still very interested in learning more about how to consume IT services in the most cost-effective way. One of the solutions they are looking into is how to access services such as computational power, storage and business applications from the cloud instead of from equipment located on site. While all kinds of vendors, from Microsoft to Google to Salesforce.com, have been putting a lot of effort into explaining their own unique take on cloud computing and their strategies for moving forward with this technology, Gartner has pointed out that cloud computing is an evolving concept which will likely take several years to mature. 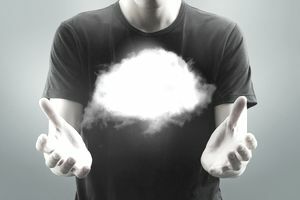 Is cloud computing good or bad for the IT job market? Cloud computing will probably be a good thing for IT job growth overall, but there will be some growing pains. The ability to streamline and cut costs through virtualization, automation, and simplification of software setup usually means IT departments can do more with less in certain areas, but it also means that funds can be freed up and can potentially be reallocated to other areas of IT where more personnel are needed. In addition, if more companies are taking advantage of cloud computing, the vendors that provide these services and related infrastructure are going to have to grow to keep up with the demand. A quick search on a job site like Indeed.com will demonstrate that several IT vendors are interested in ramping up their cloud computing efforts, and are hiring accordingly. But if you're a veteran systems administrator looking to make a career change, don't expect to move into a cloud computing job if you haven't been keeping your skills fresh. You're going to have a lot of competition from new university grads who will be very well-versed on the Internet and the on-demand model. Some employers will want you to have exposure to or experience working with the technologies of one of the four big cloud computing companies: Amazon, Google, Microsoft or Salesforce.com, and/or experience working with virtualization technologies such as that of VMWare. communication, teamwork and problem-solving skills.